The following article by Paul Daley in The Guardian newspaper looks closely at the work done by Rick Hanlon and his team at AFL Cape York House in Cairns. Having been associated with Rick and his work since 2005, and coached a number of the kids now at Cape York House, I have a strong interest in its future as an establishment that can change the lives of young indigenous and non-indigenous people by developing not only the footballer but also the person. In a recent interview of my own with Rick he discussed the hope that AFL Cape York House would grow beyond the indigenous student base it currently has and take on a more multicultural makeup in coming years, further developing the game and of course an even wider audience of young men. 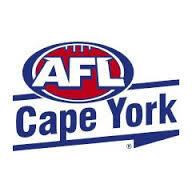 This year saw the maiden season in the AFL Cairns competition for the Cape York Eagles, the teams for which the AFL Cape York House boys play. In their first season the Under 15 team won the premiership beating Pyramid Power. The Under 17 Colts team also reached the Grand Final going down to Port Douglas. The following extract from Paul Daley’s article gives an insight into Rick Hanlon and the history and future of AFL Cape York House. Australian Rules football may well have been Rick Hanlon’s salvation. Hanlon, as those who know him well attest, is a rough diamond. A lean, fit 51-year-old, he still moves with the agility of the star centreman he was for the best part of two decades in the Northern Tasmanian Football League. He speaks equally quickly, espousing in a rat-a-tat-tat stream his uncompromising views about what young Australians – Indigenous or otherwise – need to succeed in life. Like much of what he tries to impart to his charges, he draws heavily on his own imperfect upbringing and the life lessons he’s drawn from it. In 1998 Hanlon moved to Cairns as the Australian Football League’s regional development manager, charged with getting more young Australians to play – especially those in the remote Indigenous communities of Cape York and the Torres Strait Islands, where rugby league is the traditional game. But 16 years later, having driven an impressive Aussie Rules take-up, he has exceeded the league’s official brief by last year establishing AFL Cape York House (CYH) – a 48-bed residence set around an oval in Cairns, where students from remote communities can live while finishing secondary school. It offers them a real chance to stick at school, to go on to tertiary study or into skilled employment and, most importantly, to invest in and empower their own communities. Along the way a few might even become elite Australian Rules footballers – a bonus but not the imperative for the AFL, Hanlon says. “If it wasn’t for footy I wouldn’t be ... the man I am today. I made some bad decisions along the way. But that out there – the oval – that was my classroom,” Hanlon says, as the Cape York House residents come in from school, grab afternoon snacks and prepare their football gear for a night match with their team, the under-17 Cape York House Eagles. The following is an article from our local paper, the Cairns Post which further details the history, present and future of AFL Cape York House in Cairns and the opportunities they are creating for indigenous youth. Following on from recent articles in various publications, this article from Travis King at afl.com.au further details the work of Rick Hanlon and his team in Cairns to get the AFL Cape York House up and running . The following link is worth a read.